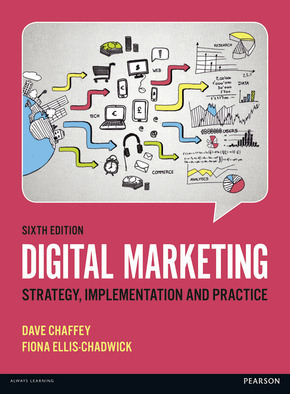 Now in its sixth edition, Digital Marketing: Strategy, Implementation and Practice provides comprehensive, practical guidance on how companies can get the most out of digital media and technology to meet their marketing goals. Digital Marketing links marketing theory with practical business experience through case studies and interviews from cutting edge companies such as eBay and Facebook, to help students understand digital marketing in the real world. Readers will learn best practice frameworks for developing a digital marketing strategy, plus success factors for key digital marketing techniques including search marketing, conversion optimisation and digital communications using social media including Twitter and Facebook.